If you live on Long Island, you know it’s all about the water! From beaches and boating, and fresh local seafood, to the crystal clear water that lies beneath our Pine Barrens – water defines life on Long Island. Not only does Long Island’s water play an important role in our personal lives, setting the stage for some of our most favorite memories, it also is a driving force of our economy. In fact, a 2013 study by the University of Connecticut and supported by the Nature Conservancy, determined that nearly half of Long Island’s gross metropolitan product - $153 billion – comes from businesses that are water-reliant. This means that Long Island’s livelihood depends on a fresh supply of drinking water and clean bays, beaches & harbors. Our decline in water quality has significant commercial impacts. Excess nitrogen in our waters has lead to the proliferation of harmful algae, compromising a once dominant commercial fishing and shellfish industry. Until the 1970s, nearly half of the clams eaten in the United States came from the Great South Bay. Today, that number is now less than 1%. Beach closures due to harmful algae blooms or thousands of dead fish washing up on our shores can also result in a decline in visitors and a major loss in tourism dollars. A Stony Brook University study found that home water quality affects real estate values, and not just on the shore. A one-foot increase in water clarity is associated with a 2-4% increase in home price as far inland as 1,000 meters. The clearer the water, the higher the property values. Many Long Island businesses also rely on a fresh supply of clean drinking water. Hospitals, for example, need a large supply of clean water to treat patients (e.g., dialysis), clean rooms and prepare meals. As water quality decreases, the costs increase for water providers to treat our water to conform to federal standards. As costs continue to increase, this expense will be passed onto the customer. 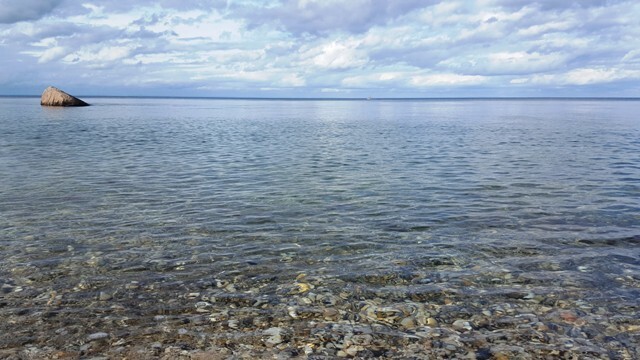 These are just some of the many examples that show the vital connection between Long Island’s water quality and its economy. Investments in clean water help protect our jobs, businesses, public services, and quality of life. Such investments will also help boost our economy – higher property values, increased recreation opportunities, greater shellfish productivity and business expansion opportunities. We cannot let this trend continue. Now is the time to act. The worse our water quality problems get, the more complicated and expensive the solutions will be. Join the Long Island Clean Water Partnership today to stay up to date on important updates on the effort to restore our water quality.